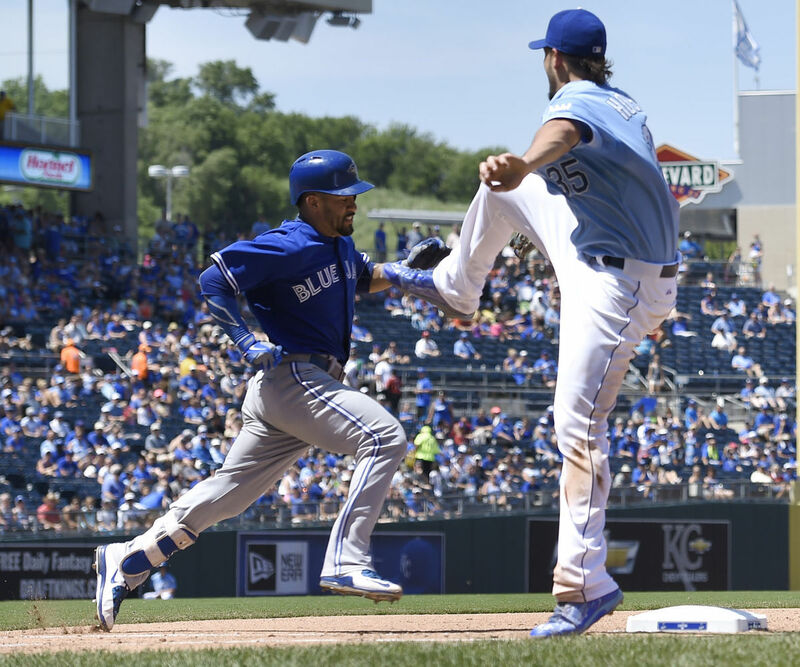 It was the last series before the All-Star Break, and by design it should be a simple three games before a large contingent of the Kansas City Royals(active roster and coaching staff) take off for Cincinnati. Instead it was three games that packed as much action, excitement and insanity that a series could. No way, right? Um, read on. It was crazy. 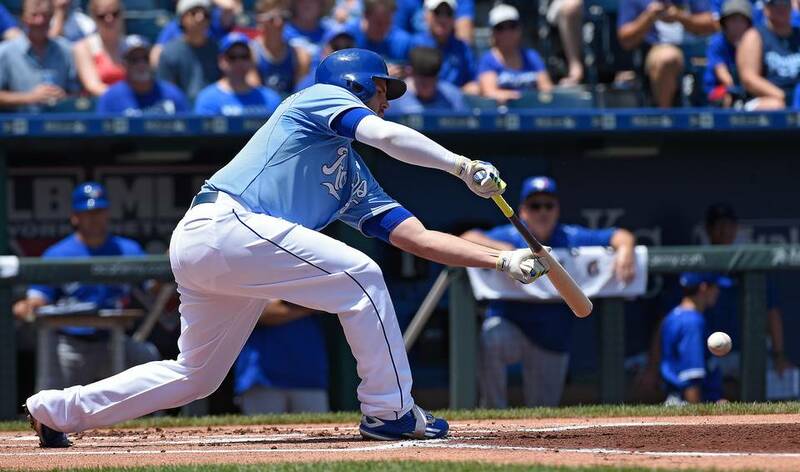 I do have one wish of Hosmer, and that is for him to drive the ball more. His Line Drive % is up this year(23.1 to last year’s 16.9) which is promising, but there is a stat that is insanely higher for Hosmer this year that scares me. Hosmer’s IFH% (Infield Hit Percentage) is sitting at 6.2% this year, compared to last year’s 1.9%. Now in the past he has had a % in that 5-7% range, so the outlier number might be last year’s, but it just feels like we have seen Hosmer get a lot of infield hits this year. Over the last week we have seen him pull the ball with some authority a bit more, which his Pull% this year is down just a tad(34.9% to 36.8%) from last year. I know the Royals have been pushing to have Hosmer turn on the ball more than he does, but it also seems like he is at his best when he is driving the ball to left-left center. The improvement this past week is a plus, but I think we could see an even more potent Eric Hosmer and hopefully that guy will show up just around the corner. Otherwise I will accept the guy who gets on base at a .500 clip during a series. Getting on base is half the battle. Before the season started I stated that I felt like Duffy could very well be the key to how the Royals performed this season. My thinking was since he was going to be a bigger part of the rotation this year, the Royals would need for him to be healthy and pitch like he did last year. 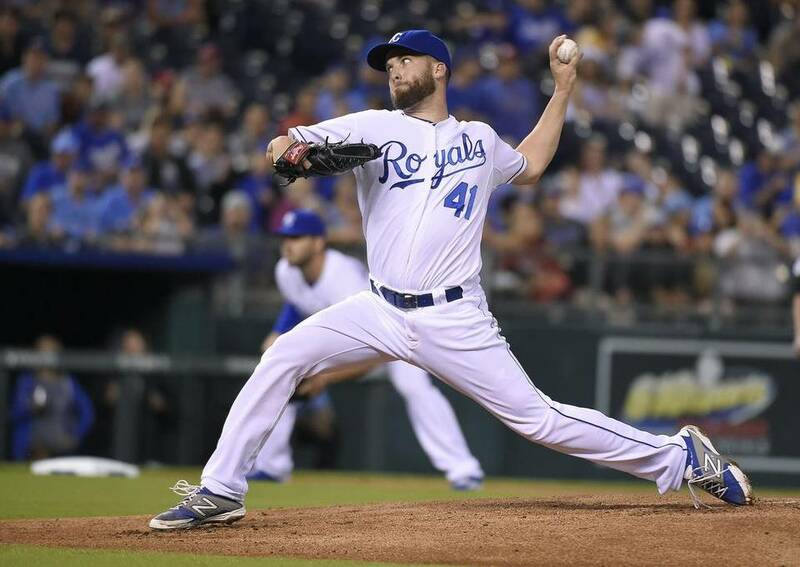 So far he has struggled to do either of those things(and the Royals are still on top of the American League Central), but if he pitches like he did on Friday it could go a long way toward adding another piece to the rotation puzzle. Duffy went 6 innings, giving up 4 hits and no runs while walking 3(while also plunking a batter) and striking out none. Yep, look at that line again and you would wonder what happened to the Duffy that would rack up the strikeouts while also adding to his pitch count in the process. This lead to his second best game score this season and a victory over the Jays. He still hasn’t quite looked like 2014 Danny Duffy, but there is at least progress and he seems to be getting closer and closer to that guy after every start. It wasn’t a Cy Young performance, but it was exactly what the Royals needed. Moose commits the game's 7th error, it leads the 11th unearned run. If you're not laughing yet, that's on you. #Royals up, 10-9, top 7th. After that six-run first inning, I never would have guessed this would end up being a come-from-behind win for the Royals. I know we have all been frustrated by Alex Rios’ play since he returned from his hand injury, but there is some light at the end of the tunnel. Over the last two weeks, Rios has a line of .304/.333/.348, and has six 2 hit games in that span. The biggest worry is his lack of extra base hits, which he did have 2 doubles in this Toronto series and hopefully that is a sign of greater things to come. If not, the Royals will be on the lookout for another outfielder, especially with Alex Gordon gone for 8 weeks. Mark Buerhle shut down the Royals again on Saturday and it got me wondering just how much he has dominated Kansas City over the years. In 53 career games started against the Royals, Buerhle has won 26 games, compiling a 3.53 career ERA against Kansas City and a WHIP of 1.245. It isn’t quite as dominating as I remember, but it is nothing to sneeze at. Hopefully the Royals can skip him when they travel to Toronto at the end of the month. 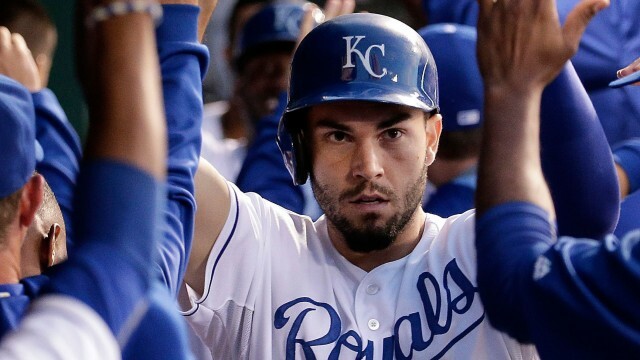 Dee Gordon of Miami injured his thumb this weekend sliding into first base and all I kept thinking of was how that just as easily could have been Eric Hosmer. There is no advantage to sliding into first base and can lead to a hand injury. 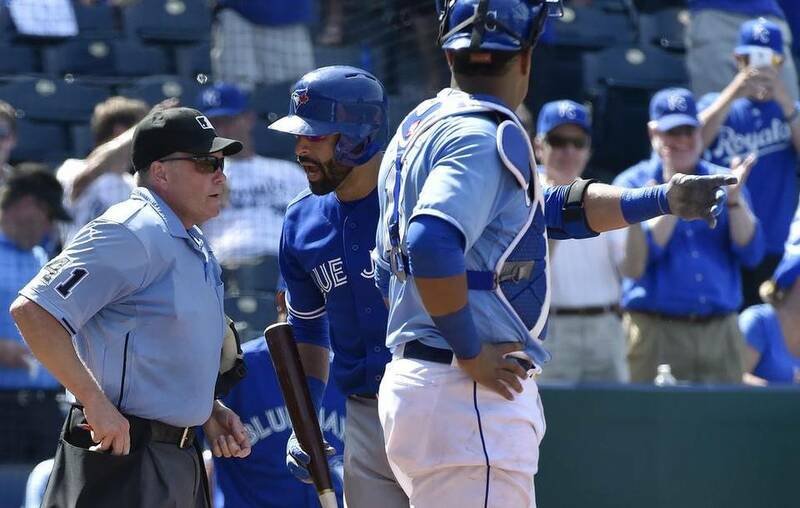 I wish Hosmer would stop doing it before he ends up hurt. I got the chance to watch 3/4 of the Futures Game on Sunday, and it was great to Royals prospects Raul Mondesi, Cheslor Cuthbert and Balbino Fuenmayor. It was my first time seeing Fuenmayor and I was impressed. He seemed to have solid batting tools and agreed with what the announcers said, which was that his stance and batting style was reminiscent of former Royal Billy Butler. Hopefully he can contribute at the major league level in the near future, although not too near. Stat of the Day: The @Royals are the only team in baseball that has played above average defense at every position. Their +42 DRS leads MLB. #Royals Moose received more than five million more votes than the N.L. final vote winner, Carlos Martinez of the Cardinals. Medlen gave up three home runs tonight. That's eight HRs in 23 1/3 innings across his five rehab starts. The best part about the Christian rock concert at Kauffman right now is the guy wearing an Omar Infante jersey on stage. 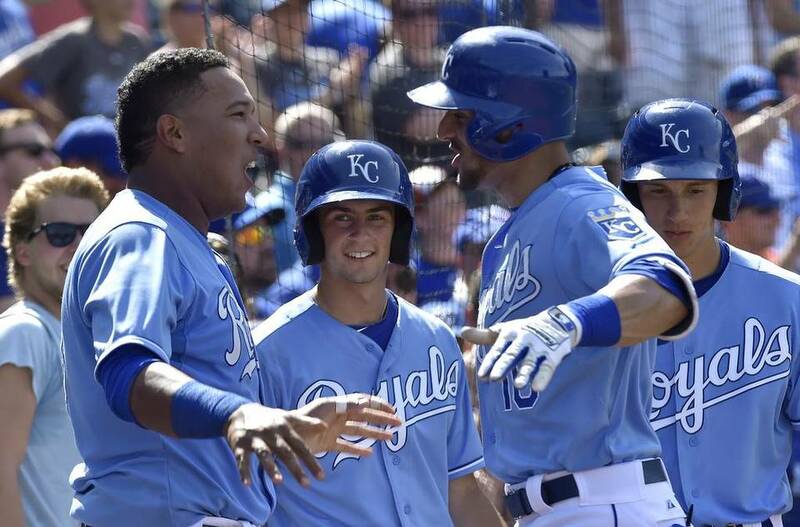 The @Royals +62 run differential at the break is the 3rd-best in club history and best since the '77 team was +66. The #Royals have a team-record 52 wins at the All-Star break! #Royals win! It's their first win when allowing 10 runs since June 2008 against the Giants. Chris Coghlan's consecutive games played streak ends at 150. The new active leader is @Royals Kendrys Morales at 123. So there you go, as the first half of the baseball season is in the books. The Royals are currently sitting in first place in the American League Central, 4.5 games ahead of the Minnesota Twins. The Royals will return to action on Friday against the White Sox, as they will have a doubleheader on Friday, one being a makeup game from earlier in the season. We are getting close to the trade deadline, so it will be interesting to see if the roster does some fluctuation over the next couple of weeks. If you remember last year the Royals picked up a couple players during August, which means they had to go through waivers. We also have a good chance of finally seeing Kris Medlen make his Royals debut in the second half, which will hopefully strengthen the pitching staff. It’s too early to say this team will be in the playoffs come October, but so far so good. One half down, one half left to go. I’d like to go to another playoff game this October; lets make that happen Kansas City!